It was a magical night on June 15, 2016 at Music City Roots when guitar great Tommy Emmanuel graced its stage for a worldwide webcast. 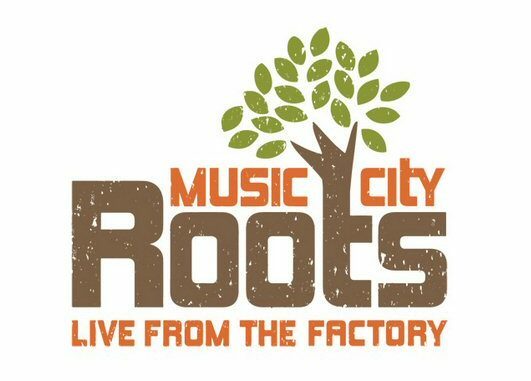 Music City Roots is a unique global platform for artists based out of The Factory in Franklin, Tennessee. It is a multi-faceted organization with radio/video streams and best of all live concerts are freely broadcast on Wednesday nights. Their shows feature emerging and established players with many of them reflecting the rich musical culture of the Volunteer State. 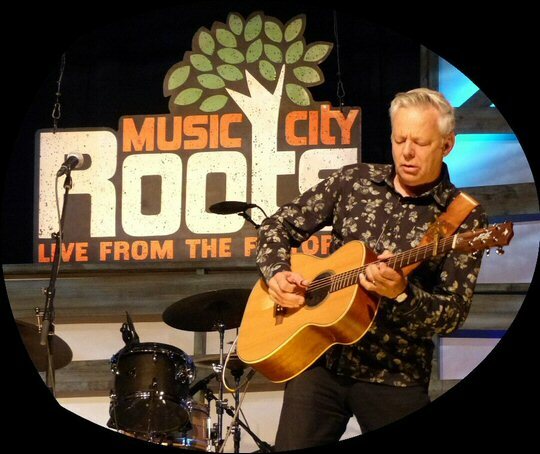 Tommy Emmanuel at Music City Roots. Both the venue and the sprawling shopping complex that it is located in has character. 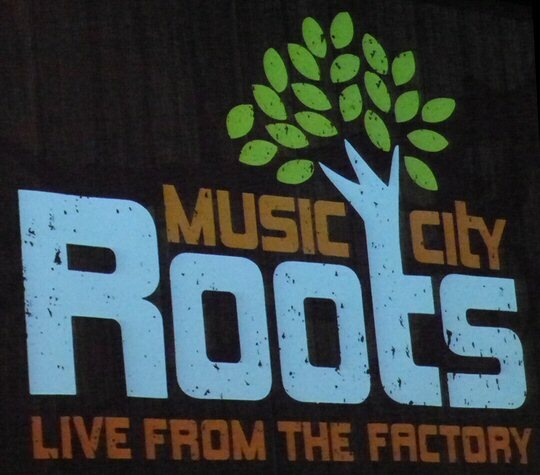 Music City Roots Live from the Factory has a sizable stage equipped with first-rate lighting, sound and video. The room has a rustic yet refined vibe. The organization embraces today’s technology yet honors the past. They work with affiliates (radio & TV), artists, fans, partners, sponsors and YouTube to promote the region’s finest music. Concessions on this night featured local favorites Pucketts and The Nashville Jams Co. who presented the final magical moment of the night when all the evenings’ artists gather on stage for an improvisational jam. In some ways Music City Roots reminded us of the Grand Ole Opry in its flow but interviews with the artists between sets were an interesting and unique difference. During his discussion with journalist/producer Craig Havighurst Tommy talked about first hearing Chet Atkins. From that moment on Emmanuel wanted to play like that. He shared how he wrote a fan letter to Chet who later became a mentor as well as a friend to Tommy. Russell Moore at Music City Roots. Tommy Emmanuel is one of Australia’s most well-loved musicians at home and abroad. The guitarist currently lives in Nashville. 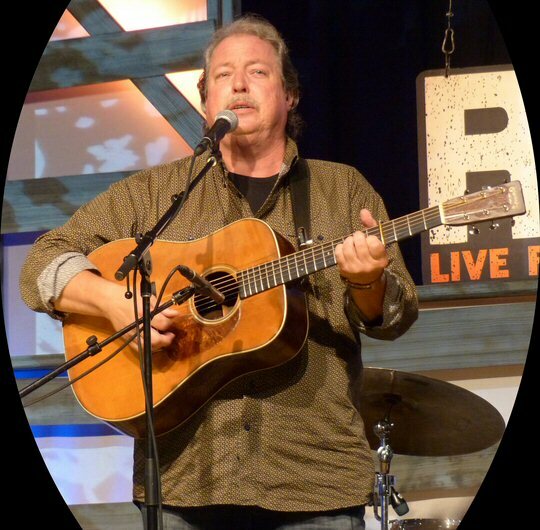 Over the course of his five decade career Tommy has earned numerous accolades and awards including the rare title of Certified Guitar Player (CGP) from the late yet still legendary Chet Atkins. Emmanuel is a fluid fingerstyle guitarist who can play not one but three segments at once all in clean crisp combinations. It’s a mystery how Tommy conjures up so much sound from an acoustic. Emmanuel opened with a layered, lively composition that featured a range of techniques such as thumb thunks, peppy picking and speedy strumming. This set the tone for the rest of his magical set which included a dynamic version of “Deep River Blues” (Doc Watson) that received a deserved standing ovation. “Smokey Mountain Lullaby” a song that Emmanuel had collaborated on with his idol Mr. Atkins was slow and sweet followed by the tricky “The Tall Fiddler”. One could imagine this tune being played on a fiddle. Tommy closed with boogie-woogie elements that escalated into a blaze of guitar glory all without effects pedals. Russell Moore and Illrd Tyme Out are bluegrass masters. They are celebrating 25 years of picking with the album It’s About Time (2015). A number of songs from the record were featured on Wednesday night in spirited jams that allowed each member in this talented band to shine. Fine multi-part vocals added to Russell’s engaging storytelling. Darrin Bradbury at Music City Roots. Blue Hollow served up traditional bluegrass with flair. Their set was a mix of classics and originals backed by fine picking and prose. “From Here To Virginia” flowed on lively instrumentation although they sang about being lonesome. The beguiling Blue Hollow closed with a righteous and rousing “Take Your Shoes Off Moses”. 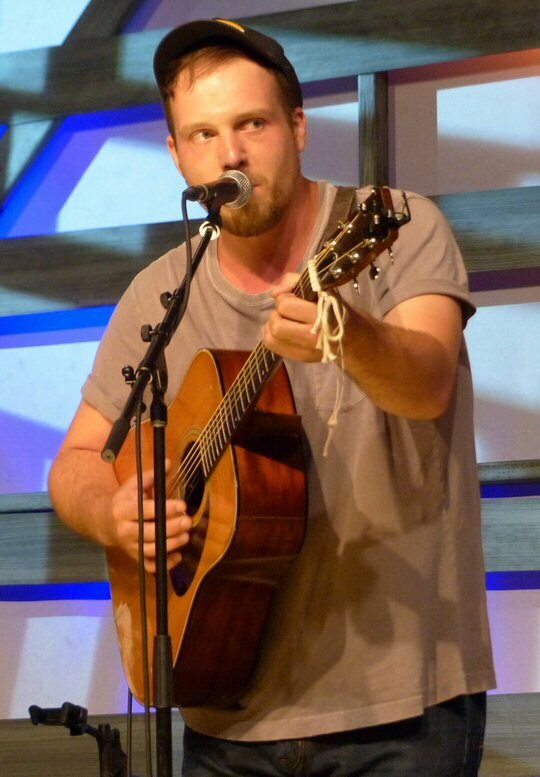 Darrin Bradbury is a folk satirist hailing from New Jersey and currently based out of East Nashville. Darrin fronted a five piece band. They opened with the catchy and comical “True Love” (is going to make you lose your teeth) which set the tone and pace of his unusual and unique musical perspective. Bradbury pens insightful lyrics that were punctuated by the group’s tasteful instrumental interludes. “The Story of Bob” was another witty tune with winsome jamming. A number of hosts and presenters kept Music City Roots moving along. At the start of the show Craig Havighurst advised the audience that there are six years of Music City Roots archives to explore. He encouraged fans to support the artists by buying merchandise before turning the microphone over to musical host Jim Lauderdale who played a song from Soul Searching. Jim told a tale of chance on a well-worn acoustic. Jim introduced Keith Bilbrey the announcer who kept things moving on time. He efficiently took care of paying the bills by reading ads from the valued Music City Roots sponsors. There are a lot of folks working behind the scenes to make this special platform happen – clearly the people here are passionate about music. The Music City Roots spring 2016 season will close on June 22, 2016 with a Dance Show which means the floor where the seats usually are will be cleared allowing more room for movement. After a short break the summer season will start on Wednesday July 13, 2016. Tommy Emmanuel was magical but it’s a sure bet that the well-established Music City Roots has many more enchanting musicians to present in the future.